Inclusion on the first annual list confirms SweetRush’s best-in-class custom gamification and games-based learning solutions. 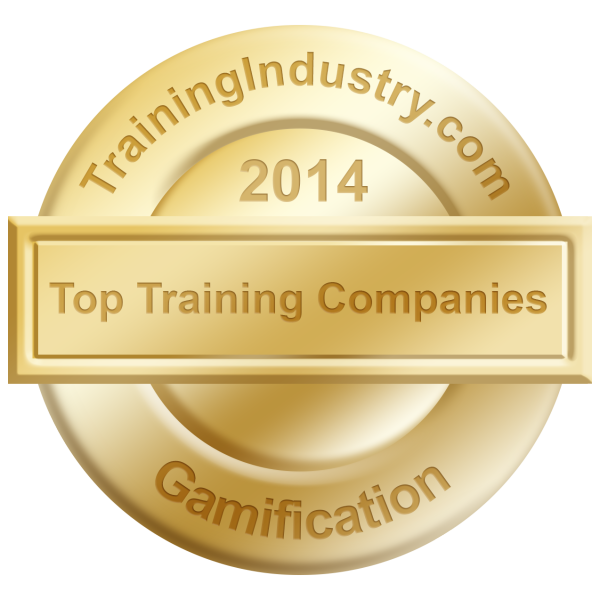 Training Industry has announced its Top 20 Gamification Companies List of organizations supporting corporate learning and development with gamification services/technologies, and SweetRush has earned its place on the list. For more than 13 years SweetRush has been creating custom courses enhanced with gamification elements; unique, memorable classroom experiences with team and multi-player games; multimedia-rich, scenario-based mobile app games for iPad and tablet delivery; custom, “gamified” learning portals; and serious games – complex, branching simulations reaching the highest cognitive levels and teaching sophisticated concepts. To produce a wide array of successful gamified learning solutions, two ingredients are required: a trusting and collaborative client and a highly integrated vendor team of gamification-savvy IDs, creative directors, engineers and multi-media artists. SweetRush is blessed to have a deep gamification bench, led by Creative Director John Carlos Lozano and Senior Instructional Designer Cindy McCabe. TrainingIndustry.com spotlights the latest news, articles, case studies and best practices within the training industry. Their focus is on helping dedicated business and training professionals get the information, insight and tools needed to more effectively manage the business of learning. Awards, recognition, and competitive differentiation.